The general state of meat production in this country is grim – for the animals, the farmers and the environment. But as meat eaters, we can make choices as to where we source our meat. We’re excited about raising happy, healthy animals for our community in a way that benefits the land. Come visit the birds, ask us questions. Food tastes better when you know where it comes from. We look forward to sharing our small pastured poultry operation with you. Hope to see you on the tour. 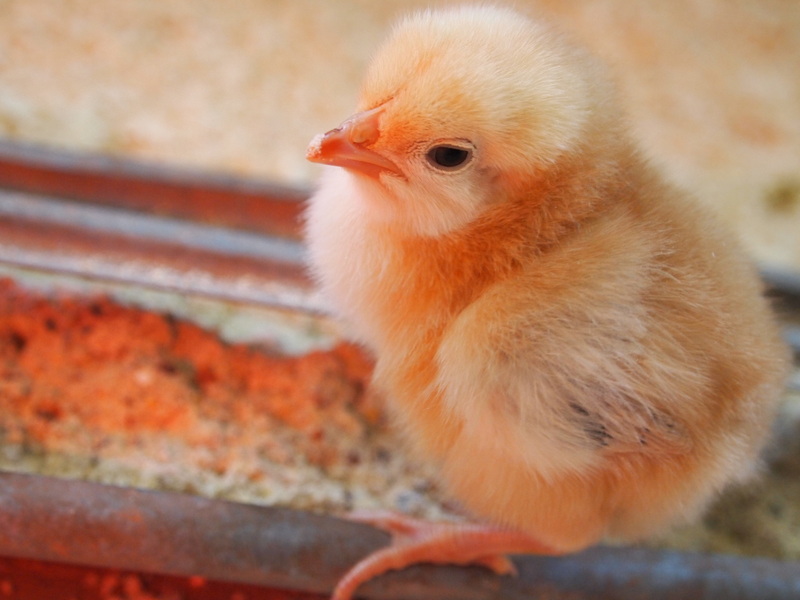 This entry was posted in farm update and tagged farm animals, farm events, pastured poultry by Cycle Farm. Bookmark the permalink. That chicken watercolor – wow! All the colors in the feathers came out so bold. The natural fade around the edges makes the shape pop out into three dimensions. Strong work. Golly, Thomas – such words of praise coming from a master such as yourself -thank you! You know, the roadrunner painting of yours is my inspiration. If you look closely there is a little roadrunner in this chicken – mainly in the mohawk. Ditto on the artwork! Can you please make a lamb watercolor for the next newsletter? And let me know when you’re ready to start a NM version of Cycle Farm…! I will come be your apprentice. Virginie! Jeremy has an incredible lamb block print – I’ll send it to you. Aw.. a Cycle Farm South? ok. Just as soon as you all set up a Quivira North office. Sending BIG LOVE! I will unfortunately not be able to attend the tour:( I would like to pre-order and I can pay for them ahead of time!